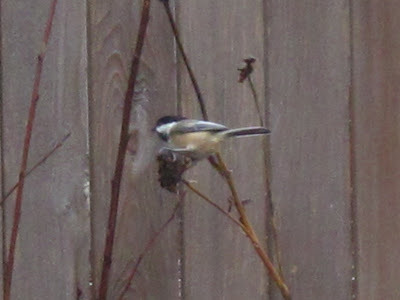 Looks like a Black-Capped Chickadee to me, but I'm no expert. Cute little guy! 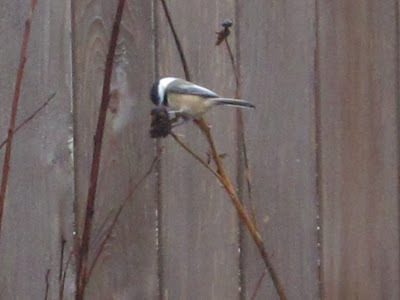 I once had a chickadee build a nest in my air conditioner. Don't worry, I didn't turn it on until they were done with the nest :) Love those little guys! I'm really hoping for some nests in my yard this year. The stripe on their faces remind me of Brigitte Nielsen, for some reason. Chickadees are friendly, social birds that are common at feeders. They build beautiful nests out of moss - Google a photo! They are one of my favorites for sure. 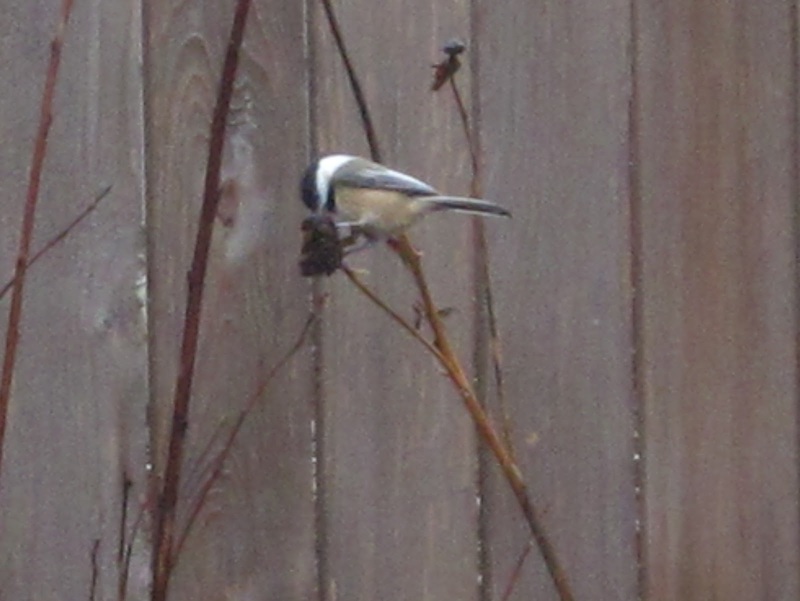 Ooh, now I *really* hope they build a nest in our yard! I don't know anything about birds (sorry), but I'm a few posts behind. I LOVE the paint color you went with. It looks especially great against the green plant you held up, and since you're into landscaping, I bet it's going to look amazing when everythings in bloom!